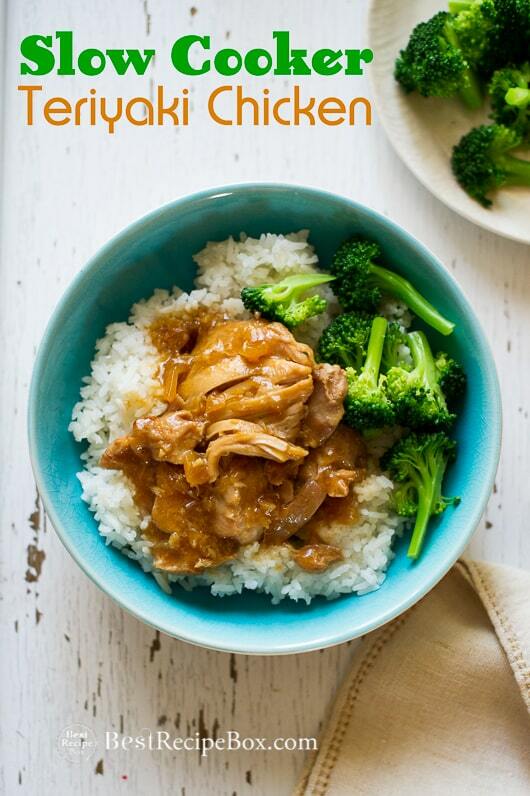 Our teriyaki chicken recipe is wonderfully tender because it’s cooked in the slow cooker or crock pot for about four hours on high heat. 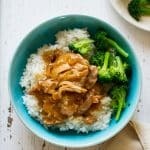 The flavor comes from a homemade teriyaki sauce recipe that’s made directly in the slow cooker and simmered with the chicken until all the flavors are well combined. There’s nothing better than a hearty chicken teriyaki bowl for dinner or lunch. 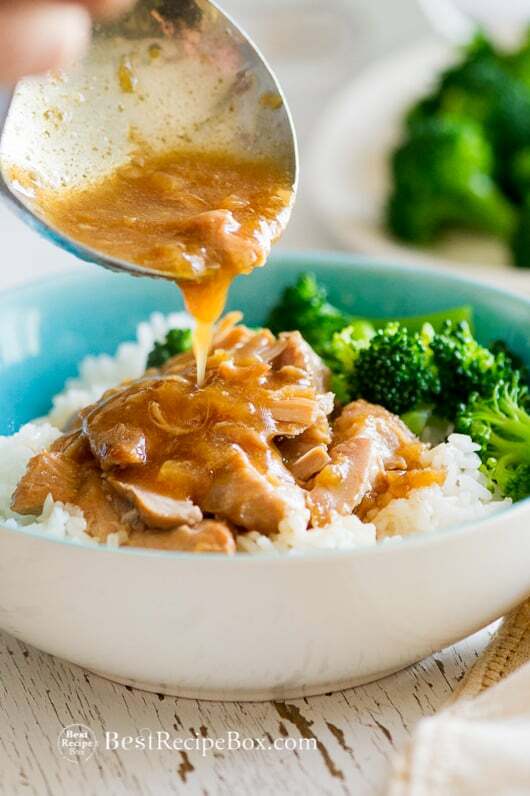 Made with soy sauce, brown sugar, rice vinegar, garlic, fresh ginger and crushed pineapple, the flavor for this teriyaki sauce recipe is bright, savory and satisfying. You can adjust the taste by adding additional tablespoons of the soy sauce, brown sugar, or rice vinegar for more depth of your favorite flavors. Make a meal out of the chicken by adding it to rice, pasta or by shredding the chicken into sliders! 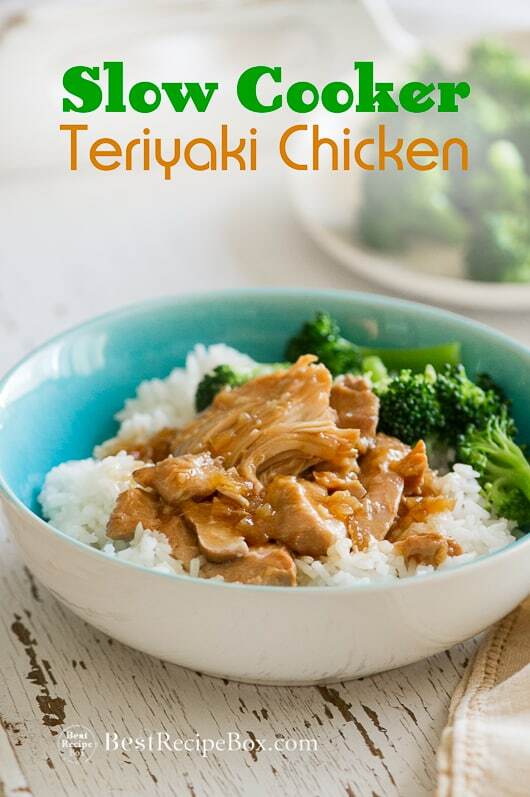 It’s a super easy Asian recipe and the slow cooker does all work in this fantastic chicken teriyaki recipe. This teriyaki chicken is so good, you’ll always want to make it homemade! Your can customize all your individual flavors and spices. No more need to order takeout because it can be made all in your own kitchen for an awesome and easy weeknight meal. And oh! Parties too! Don’t forget potlucks and parties because this is a fabulous recipe to bring to your next gathering. Enjoy! 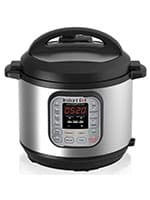 More Asian Recipes and Slow Cooker Recipes. Read post for more recipe details. 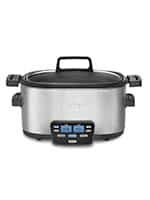 Cook times will vary depending on slow cooker brand and settings. In 4 qt. slow cooker bowl, combine crushed pineapple, soy sauce, brown sugar, rice wine vinegar, garlic, and ginger. Stir well to make sure all ingredients are mixed. Add chicken. Cook until chicken is tender (High - 4-5 hours : Low - 6-8 hours). Stir about 2-3 times during cooking and push chicken down so it's immersed in the sauce. Optional: to thicken the sauce (do this about 30 minutes on low, or 5 minutes on high before chicken is finished cooking). Make the corn starch slurry: mix cornstarch and cold water in small bowl. Stir the mixture so that all the cornstarch is completely dissolved, leaving no lumps. 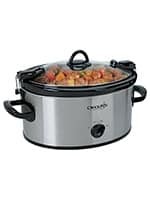 Quickly stir in the cornstarch slurry into the crock pot teriyaki mixture and combine well so that the cornstarch doesn't thicken and become lumpy. Originally published in 2013. Re-published with updated recipe, photos & video in 2017. You’re photos are amazing! I love your blog, just came by from Tastespotting. I have a random question, do you mind me asking where you found the blue and white bowl? 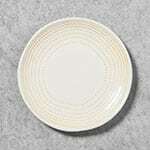 It looks like the perfect dinnerware prop =). You got the perfect picture with it. 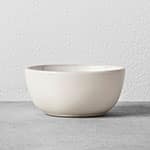 Hi Jaclyn- We found the blue bowl at a discount store called TJ Max/Home Goods. 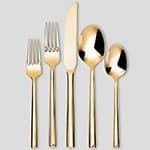 We also saw some similar style plats at Z Gallerie. Good luck! I really want to make this recipe it looks delicious. I have a question though. Do you know if not adding the pineapple will do anything to ruin the recipe? I cannot stand pineapple but almost every teriyaki recipe I’ve found calls for it. Hi Gayowin-We have not tried it without pineapple yet and are not sure how the recipe would work without it. But we’ll work on a recipe without pineapple. I made this today without pineapple – because I forgot to buy it! I just added a third cup of water to make up for the missing pineapple liquid, and it was still so good! This recipe will be used over and over again; so easy and so good. Thank you! can I use chicken drumsticks instead? Dixie- Yes, you can use chicken drumsticks. Actually it’ll probably be more flavorful because it’s on the bone and it’s brown meat. Enjoy!